Some insects are more accommodating than others when it comes to taking photographs. Not only are some species easier to photograph but actual individuals can vary. Some are off as soon as they catch sight of you whilst others will quite happily sit there until you accidentally nudge them with the lens. Some I swear ask for a make-up artist. 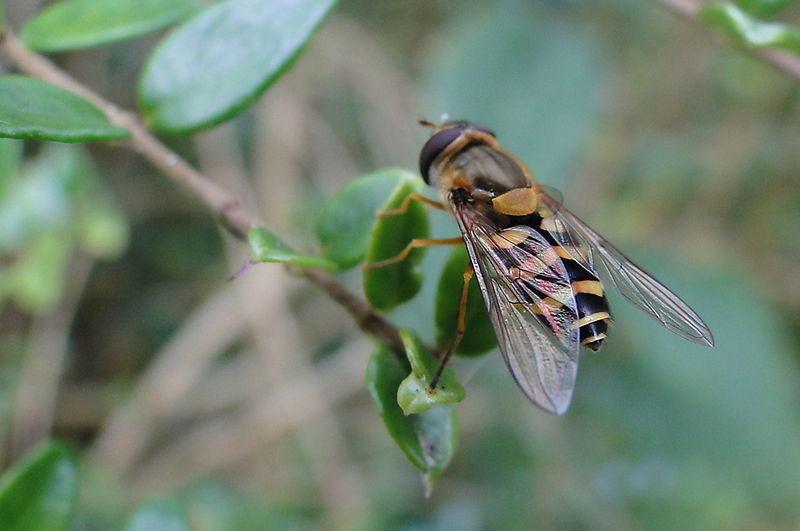 Take this little Hover-fly for example which I believe is Syrphus ribesii. Although it did fly off quite a few times, fortunately it only went as far as the next bush. It often depends how warm it is. In my experience the hotter it gets, the harder it gets. I’ve found that for macro photography a warmish overcast day is best. 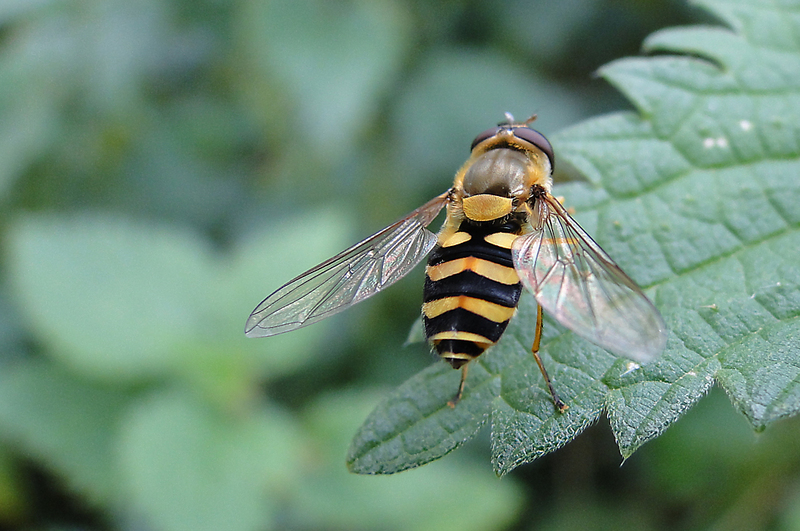 Hover-flies get their name from their hovering and darting flight and there are about 5,000 species world-wide. Antenna are generally short and drooping. The body shape can be very variable and many are good mimics of bees and wasps. This one is obviously a bit of a wasp imitator. All are harmless nectar-feeders. Vein pattern on the wing is often important in identification. They have a false margin formed by veins running more or less parallel to the hind margin of the wing. Plus a false vein in the centre of the wing which is simply a thickening of the wing membrane.